Ethnic 32 ethnic groups are living (Kinh, Raglai, Hoa, Ede, Co-ho, a small group of Tay, Nung, Muong, Thai, Cham, Khmer, Tho …). allow investors to enjoy investment incentives on land and tax highest level in the prescribed frame. In addition, the province also paid attention to the simplification of investment procedures, creating mechanisms for opening joint ventures, link and cooperate to implement investment projects in the direction of creating the most favorable conditions for enterprises. Khanh Hoa will be a safe and developed investment. Besides, Khanh Hoa province is actively strengthen and motivate the cooperation between the province and Local foreign , bringing about practical effects, especially the friendship relations. Laos, Cambodia, France, Korea, Russia … actively expand and enhance the relationship of the province with Local foreign , economic groups, international financial organizations. Enlist capitals , technology, knowledge and sources of foreign aid to exploit potentials and serve the socio-economic development of the province. 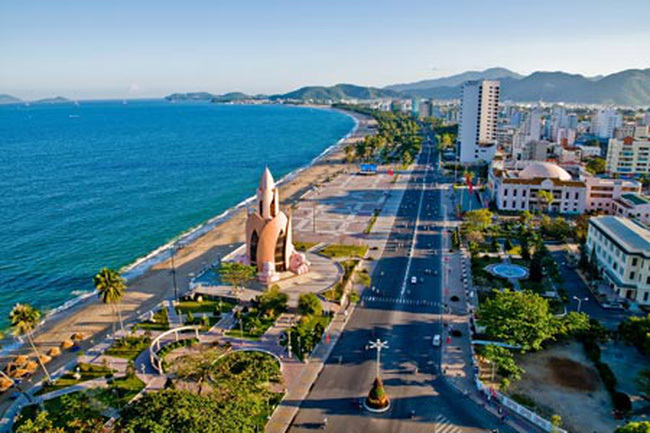 In recent years, Khanh Hoa has mobilized many domestic and foreign investment capital with preferential policies to develop infrastructure, creating favorable conditions to attract investment projects in 03 economic zones focal points of the province. Total investment capital for development in the period 2011-2016 reached 142.5 trillion VND, in 2017 is estimated at 36.748 billion. The rate of mobilizing investment capital for development of the entire society reached an average of 49.9%. Hundreds of infrastructure in the fields of transport, industry, electricity, water, agriculture, irrigation, services, tourism, culture, information, education, health and sports, adjust construction … was completed construction and put into use. The network of power supply, water supply, transportation, communication, banking, finance, health care and public services has strongly developed to meet the basic needs of investment. The projects have contributed to the socio-economic development of the province, creating a spacious urban center of the region and gradually forming the center of services, tourism and culture of the country. 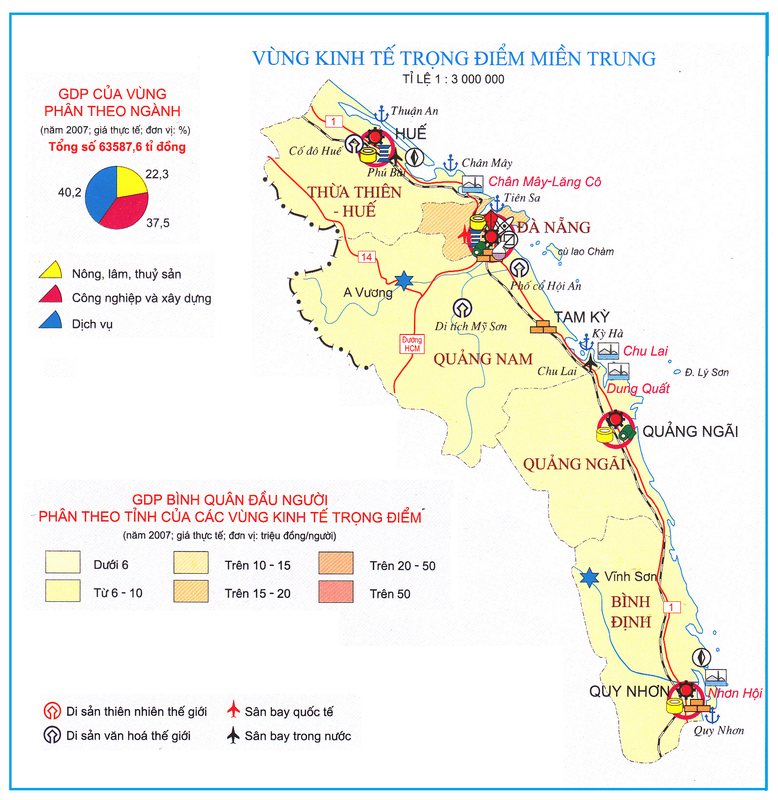 At the same time, it is a favorable condition for the cooperation between Khanh Hoa and neighboring provinces such as Lam Dong, Ninh Thuan, Phu Yen and the Central Highlands provinces.Some key traffic works such as: Cao Ba Quat – Cau Lung Road, Phong Chau Street, routes and junctions connect Nha Trang Airport, Cam Ranh International Airport (upgrading the runway and building new T2 terminal) … being implemented; Many urban areas are upgraded, countenance of modern civilization is shaped clearly, forming many new urban areas. Besides, Khanh Hoa province has mobilized capital to commence construction of the Nha Trang City Center for Trade, Service, Finance and Tourism (former Nha Trang airport); To receive and convert Nha Trang port’s functions into a passenger port and a service complex to develop tourist services; To formulate the establishment of the North Van Phong Special Administrative-Economic Zone, then submit it to the Government for approval; speeding up the construction of the Van Phong 1 Thermal Power Plant Project, Petrochemical complexes south Van Phong Oil and the solar power projects.